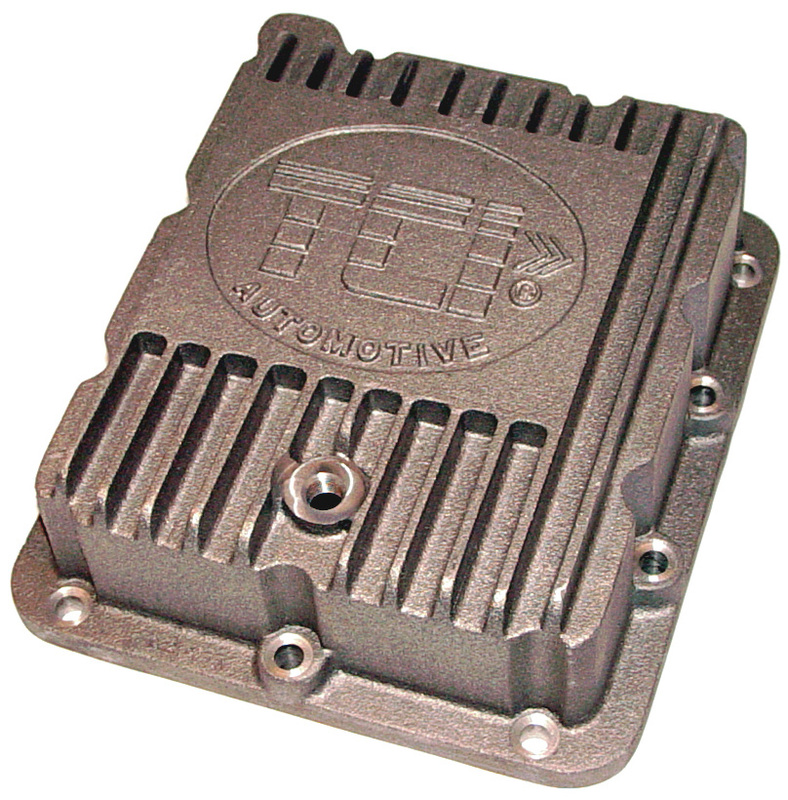 One of the best investments you can make to ensure the longevity of your automatic transmission is a TCI® Cast Aluminum Deep Pan. 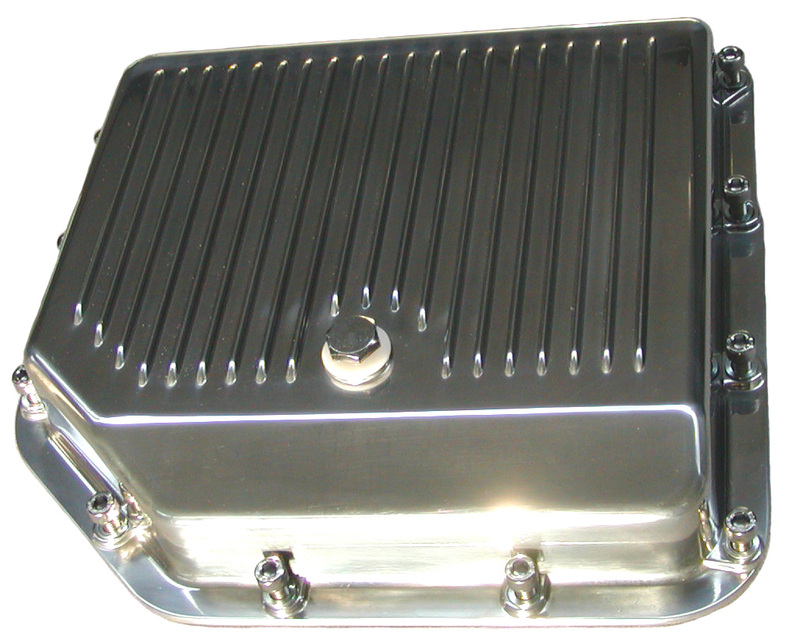 Designed with exterior cooling fins to dissipate heat quickly, these pans provide additional strength and rigidity to the transmission case. These premium cast, high-quality TCI® Max-Cool™ Aluminum Deep Pans turn the ordinary into the extraordinary. A black powder-coated finish and the ability to hold a larger fluid supply increase heat dissipation, thereby dropping internal transmission temperature by 20 to 30 degrees and elongating transmission life. 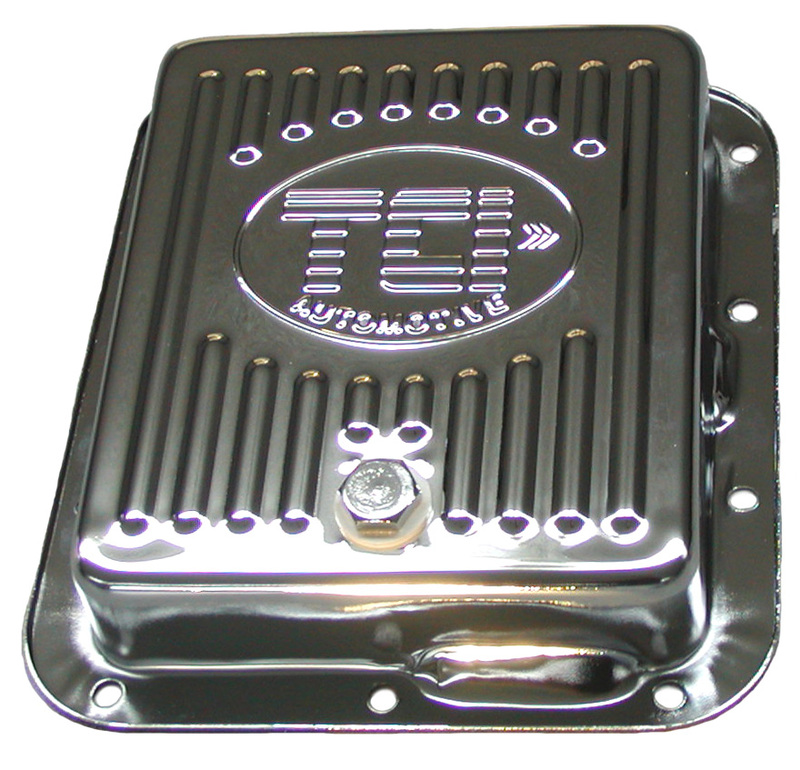 These TCI® Polished, Die Cast Aluminum Pans are thicker than stock for added durability and polished to a high luster, making them a beautiful addition to any street rod or show car. Because ground clearance is a concern with these cars, these pans are made to the stock depth and include a drain plug to make fluid and filter changes much simpler. 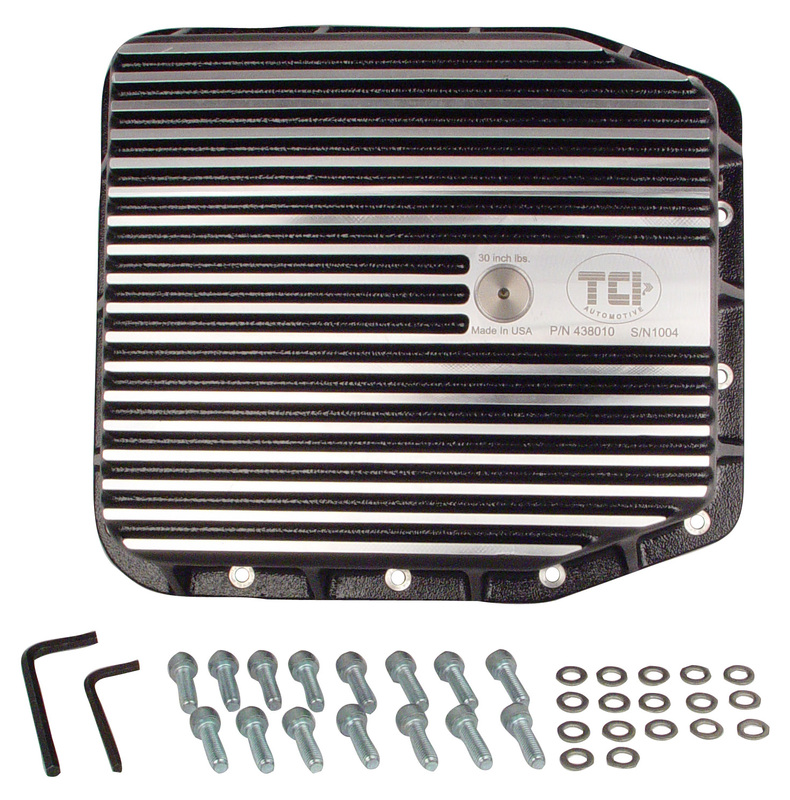 These stock-depth TCI® replacement pans can spice up the undercarriage of any vehicle. The included drain plug makes transmission service a snap. These pans are thicker than stock so you won’t have to worry about warped, leaky pan rails and the chrome plating means no more rust that you see with lesser quality stock pans.